For users of over 30 million email accounts in nearly one hundred countries, atmail is the company hard at work behind the scenes making sure those emails get delivered. Founded in 1998, atmail provides email solutions for service providers (such as internet service providers (ISPs), hosted service provider (HSPs), telecoms, global corporations and government agencies in Australia and the US. It also has many partnerships with vendors, consultants and integrators. 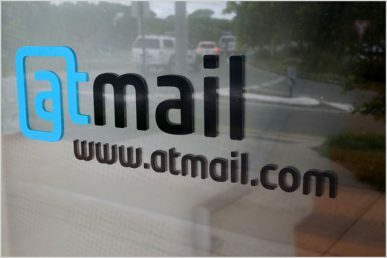 Working from headquarters in the small town of Peregian Beach, Queensland, atmail provides these diverse global customers with white-labeling and revenue-raising options, while allowing for simplified management and an intuitive email experience. But when it comes to the deployment of email solutions, the industry is currently undergoing a rapid shift from on-premises email servers towards cloud-based systems – something atmail has just faced itself. Historically, the company ran their email services out of their own data center, which was reliant on on-prem systems and included all the complexities cloud solutions are recognized for eliminating. As their initial cloud-based offering grew, they soon realized the system lacked an agile, extendable environment capable of delivering on the cloud’s natural advantages. Instead, atmail was running its own dedicated servers on bare metal and using a “sharded” architecture, which made scaling both expensive and complicated. On-boarding new customers and increasing capacity required purchasing more and more dedicated servers and performing the challenging operational work to bring them into the fold. Seeking a simpler, more capable and cost-effective alternative, atmail launched a year-long R&D project to better embrace the cloud and implement a new system that would harness the advantages of OpenStack. One of the key outcomes from this project was identifying an infrastructure-as-a-service (IaaS) provider to best realize the superior scalability and consistent, predictable operating expenses that the company sought. atmail selected DreamHost’s DreamCompute cloud computing platform to power their new cloud-based email solutions, as DreamCompute is a fully programmable open source cloud compute service, engineered around OpenStack and Ceph’s open source cloud storage. Utilizing virtual machines (VMs) and a simple pricing structure to offer customers a highly scalable infrastructure, DreamCompute provided options for scaling both vertically and horizontally, by creating servers with customer-specified resources (memory, vCPU, disk volume, etc.) or via simply spinning up additional servers. The contrast has been stark: with DreamCompute, atmail transitioned from a sharded architecture to a modular architecture, making it much easier to increase capacity. The move from bare metal to VMs has made managing the architecture, according to atmail, “ten times simpler.” And, at the same time, DreamCompute’s use of SSD and cloud storage technology has delivered a boost to atmail’s overall performance. 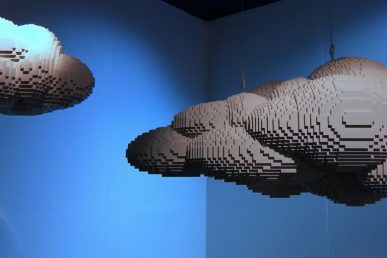 Through the DreamCompute platform, atmail has now been utilizing OpenStack for a year and has successfully migrated 10 percent of its cloud account base. 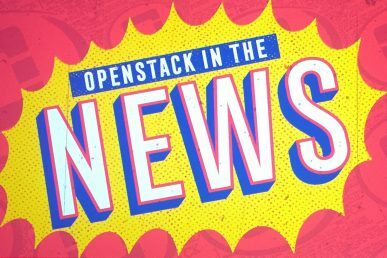 With cloud now delivering over 40 percent of atmail’s revenue, it will continue its rapid transition to the DreamCompute environment utilizing OpenStack’s flexible cloud infrastructure capabilities to bring much needed simplicity to the scaling of operations. As customers increase their demand for less complexity and stronger performance in their email systems, atmail now has the solution it needs to increase its number of cloud-based email accounts into the tens of millions, and beyond. 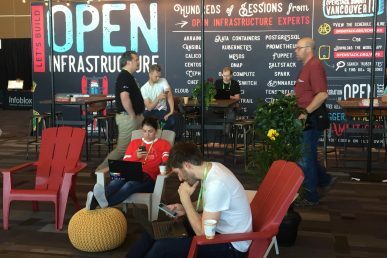 For more on what’s happening in Australia, check out OpenStack Days Nov. 14. More than 15 percent of the Australian company’s infrastructure runs on an OpenStack-powered DreamHost Cloud.